We are a locally owned & independent insurance agency offering a wide range of products & services. 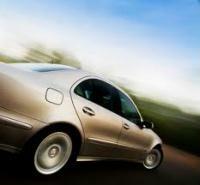 We pride ourselves on offering you the most comprehensive coverage at the lowest possible price. Our professional staff is well trained and collectively has over 325 years of experience. Each staff member is required to have continuing education and several have earned the prestigious designation Certified Insurance Counselor (CIC). We believe in what we do and in ''Protecting What Matters Most''. We invite you to call us and let us see what we can do for you. We are located directly across from the Linway Plaza.